In my classroom, I like to keep everything organized. For me it helps ensure our homeschool day runs a lot smoother. When I know where everything is located it makes me and my OCD happier. I figured I'd write a post to help those, who are trying to add some organization to their rooms and or school supplies. 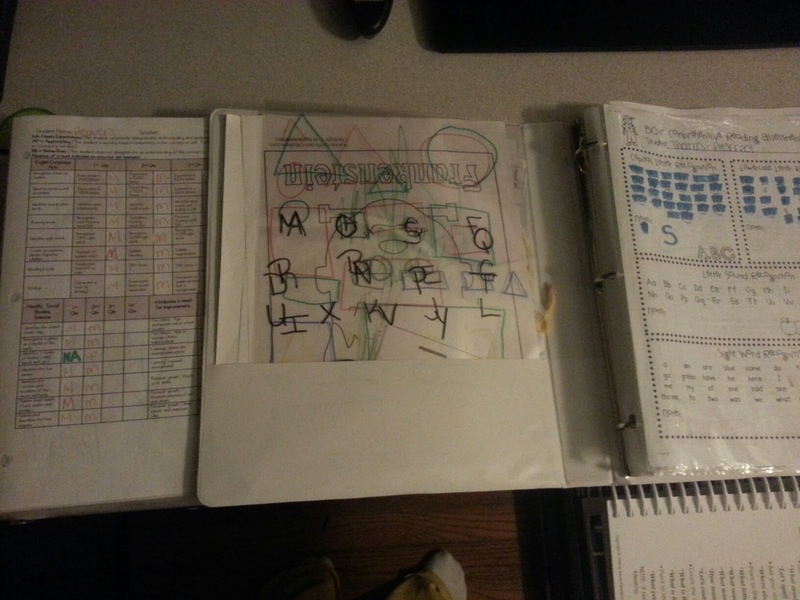 Here I have my calendar that has every important/non important event written on it, my daily planner that gets filled out Friday nights and folders that hold my projector sheets. I look at this calendar so much, it's crucial I keep it up to date. 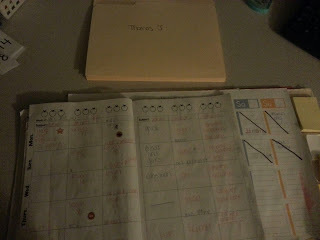 Writing everything down helps tremendously and always keeps me on track. 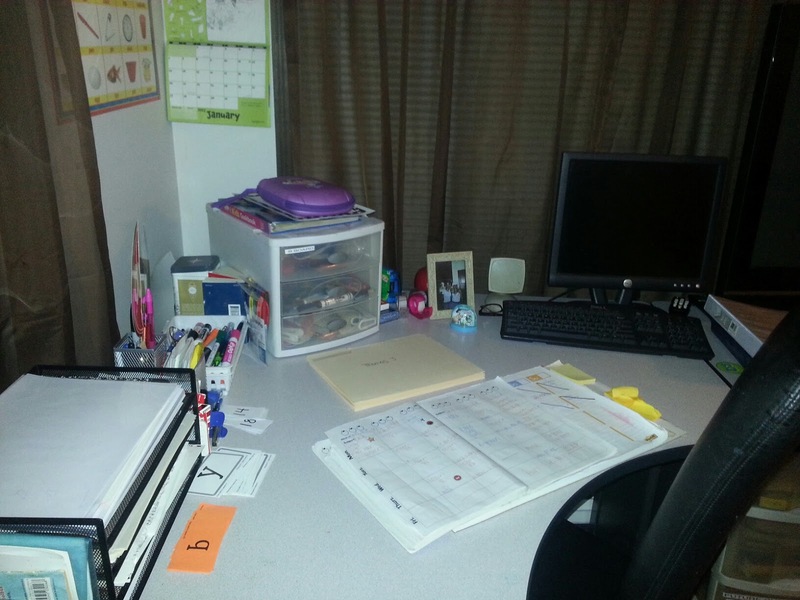 Next to my desk I have another desk I keep the kids binders on. 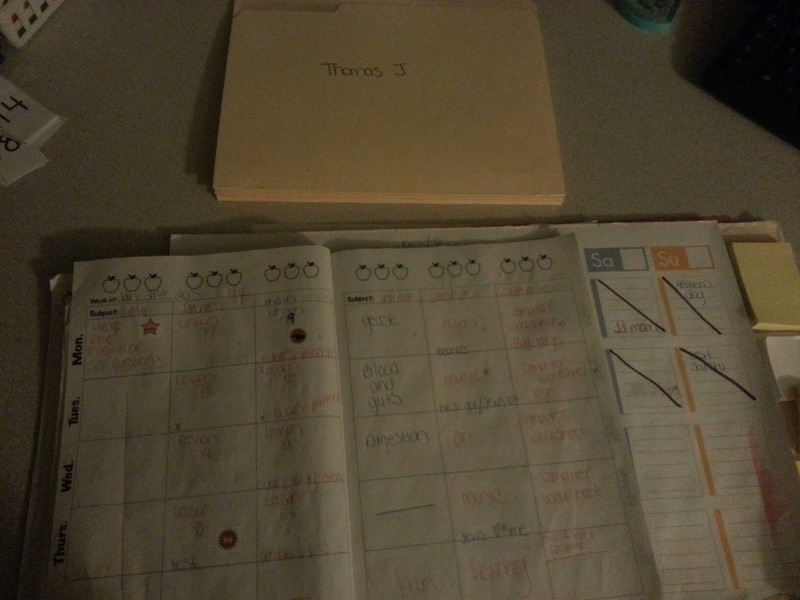 I've touched before on how I use them but for those who missed it, I keep all important papers, things I want to save and report cards/progress reports in them. All you need is a regular binder and some page protectors and you're set. 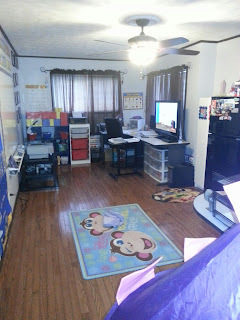 Under that table I have drawers that hold things I don't want the kids to touch without supervision. 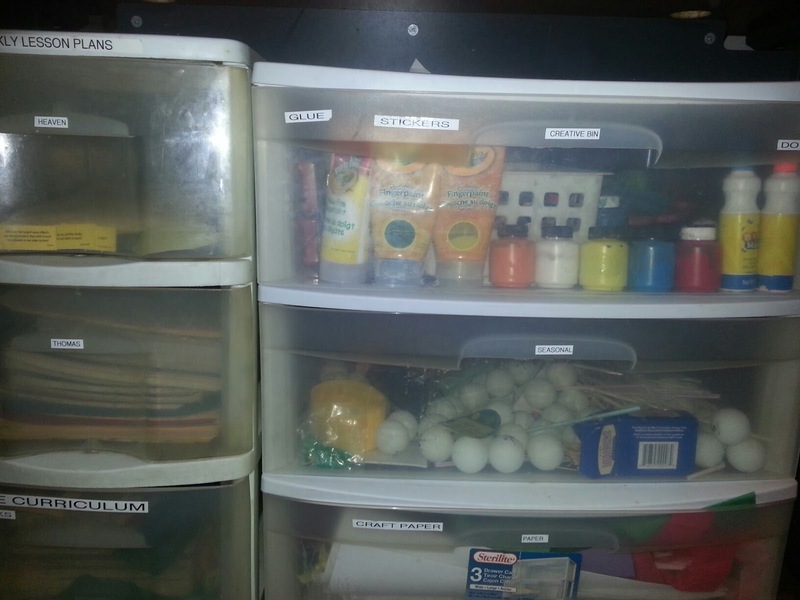 I keep art supplies, construction paper, seasonal things and future curriculum in there. To the right of my desk I have the cabinet. 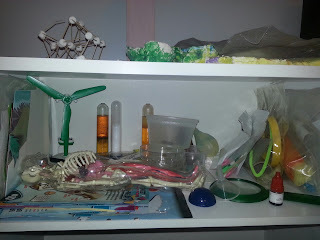 This cabinet holds our Science accessories. 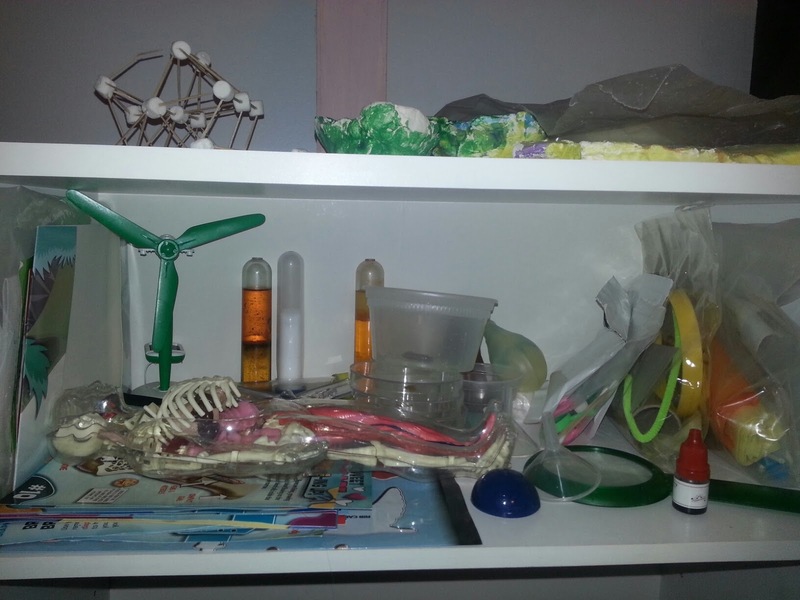 I buy a lot of science kits so they need to have their own spot. To save room I remove everything from the boxes and store them on the shelf. To the left of my desk I keep the math and phonics materials. I also keep these things close to me so I can monitor when the kids have them or else they could be lost. Each bin contains the smaller math supplies like teddy bear counters or pattern blocks. 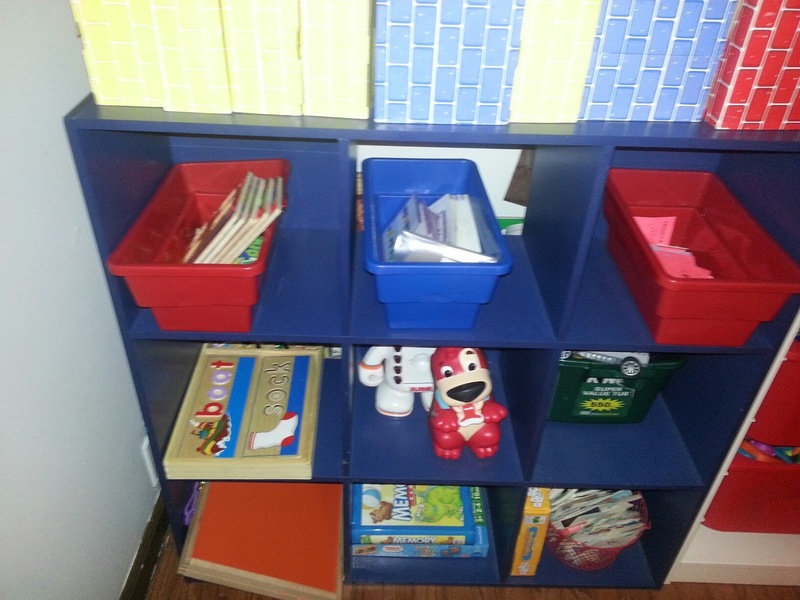 The blue shelf is all about phonics. 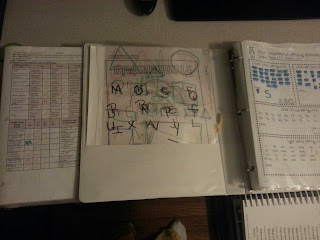 I keep games, flash cards, etc here for the kids to play with during the day. 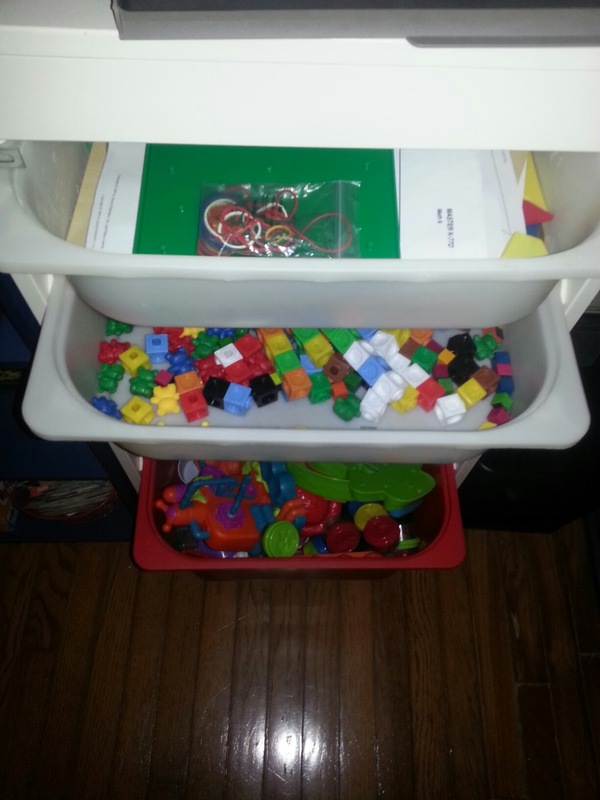 Most educational toys make it to the blue shelf. I don't place a lot on here because I don't want it crowed and I like to rotate the toys after a few months. Whether you have a room or you use the whole house, it helps to organize things. If you don't have a room you could even buy a box of Tupperware and store your supplies in them and buy a bin to hold them. Not only does being organized help our school day, it also helps teach the kids to put things back where they go. Ikea is great for buying shelving, if you have the room I recommend checking them out.